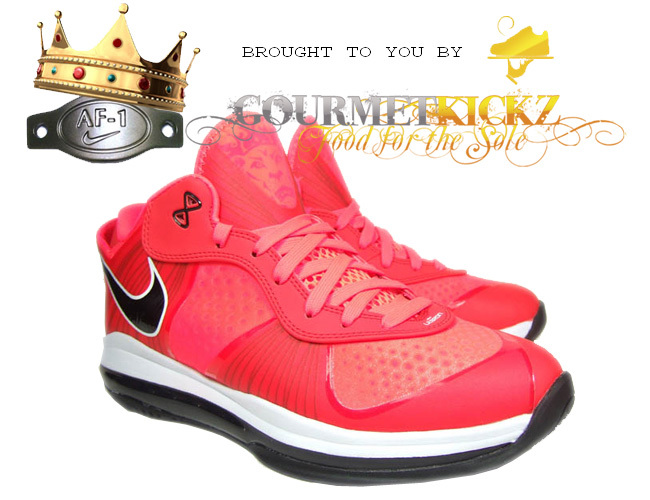 Nike Air Max Lebron 8 V2 Low Solar Red 456849-600 Now Available! The long awaited Nike Air Max Lebron 8 V2 Low in Solar Red & Black is now available early on the AF1King Online Shop. After a little hustling Chef was able to secure a limited run of these bad boys prior to the Mid-August release date and satisfy the lucky few who choose to do business here on AF1King. After the jump you can check what sizes remain and buy what’s available or click here for the product page. Just when you thought you have seen it all, Chef of GourmetKickz, the king of Custom Nike Air Force Ones has went and created something that will be sure to break necks clean off the spine! If you can imagine what would happen if you left a bored Chef in the room alone with your girl’s Gucci handbag and a pair of your cough drop foamposites, well you would return to find that he had completely gutted the bag of its premium distressed nubuck and skinned your beloved foams with it! The resulting creation is the masterpiece you see pictured above. A Custom Foamposite One Lux “Gucci Bag” edition. Chef is creating only a limited quantity of this shoe and is offering them now exclusively here on AF1King. The price is reflective of the base shoe and the custom job, so you will receive exactly what you see pictured above. The quality of this shoe is amazing and there is nothing like seeing it in person. All the contour of the elegant Foamposite Pro design with the luxury of premium grade distressed nubuck makes for a shoe fit for a sneaker king. Grab your pair after the jump or head on over to the online shop to purchase this pair and other masterpieces from Chef. This continuation of the Nike x Kanye West collaboration has been 2 years in the making. Picking up where the last release left off, this shoe will continue the overall silhouette of the first shoe design while introducing some new design cues. The most notable change is the sole choice. 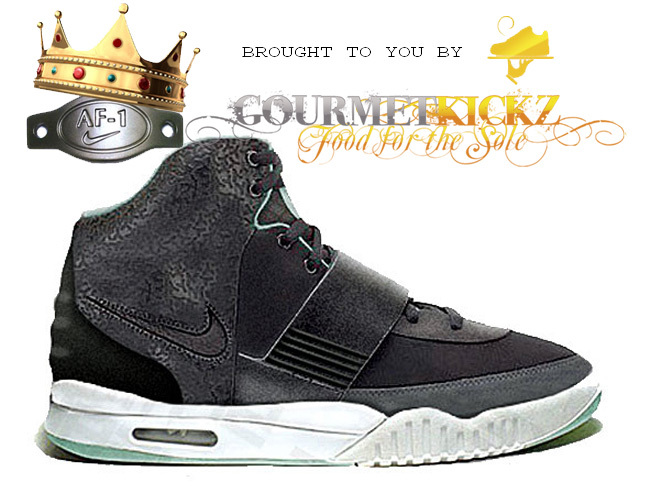 This 2nd generation Air Yeezy uses the sole of the Air Tech Challenge II. An interesting choice and perhaps an influence of Kanye’s working with Nike Sportswear on the design this go round as opposed to the Innovation Kitchen. Elements that will remain distinctively the same as the premiere release are the glow in the dark sole, the ultra soft ankle cushioning and uber-comfortable fit, the laser etched Y’s on the upper, and the strap (now located a bit higher on the forefoot of the shoe). This shoe is expected to be sold out as fast as the original release, camp-outs etc. Beat the lines and save your valuable time by simply reserving your pair here on AF1King via a veteran in the game, Chef of GourmetKickz. Buy them here at the AF1King Online Shop or after the jump. 1800 Tequila launched its custom bottle series, limited to 1800 pieces. 9 different bottles were designed by renowned artists from all over North America. 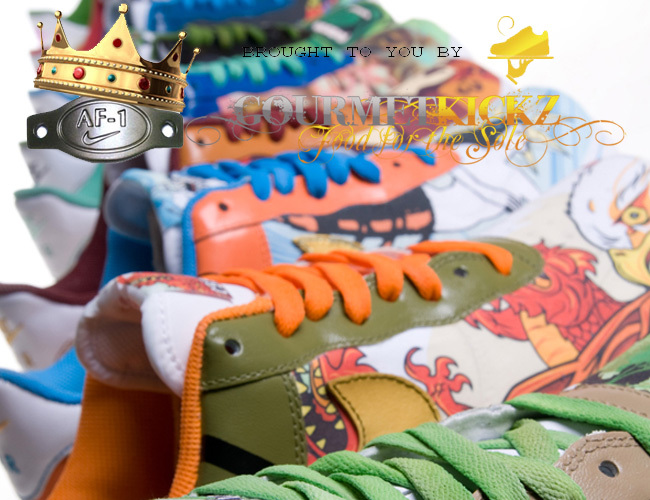 1800 then connected GourmetKickz with these artists in an effort to an another dimension to their campaign. The result is in the above picture. 9 masterpiece custom sneakers that were born of the collaboration. 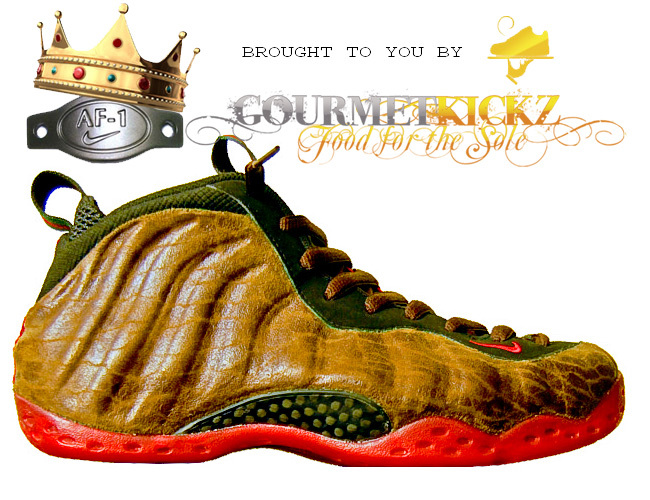 As another phase of the collab, 1800 powered the launch of Chef’s dream site, The 3D GourmetKickz Creator! This website uses 3D design software to allows users to “skin” an all white Nike Air Force 1 Low with artwork from the Essential Artist campaign. There are hundreds of billions of possible combinations without ever repeated a design! that’s right, a site more powerful than Nike ID, in fact it has been called “Nike ID on steroids”. The site allows you to use “Chef Logic” to design sneakers, therefore it gives you the virtual abilities of Chef himself, allowing only what is realistically possible. This means you can order and receive exactly what you create with no errors. Take a look at the designs that have been launched on AF1King so far after the jump. You can buy the entire premiere set of 9 super-limited AF1’s, cop them piecemeal, or head on over to the Kicks Creator right now and make your very own 1 of 1’s! 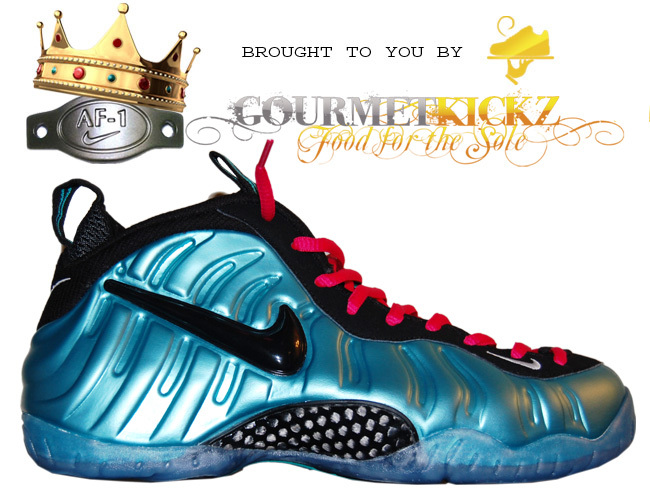 Though sold out pretty much everywhere, and sold out within minutes on NikeStore, Chef of GourmetKickz managed to get his gluttonous hands on a full size run of these Nike Air Foamposite Pro “Electric Blue”. He has also been gracious enough to include the “south beach like” laces for a very Lebron-Like look. These sneakers are now available in the online AF1 King Store at a moderate price. They will ship priority within a day of payment being received. Head on over to the store to see what else chef has cooking, or scroll down to buy these.